While mobility challenges put patients at risk of injury, they also can take a toll on clinicians and caregivers, adversely impacting their health. It’s an issue that costs the industry more than $26 billion annually, as written about in our educational guide. How can this be? Patient mobility limitations have traditionally led to an increased need for direct physical interaction on the part of the caregiver. Frequently leading to overexertion of muscles in an effort to lift, support, or catch unsteady patients. In fact, it’s been estimated that the cumulative weight lifted by a caregiver in one typical eight-hour shift is 1.8 tons. As a result, back injuries in healthcare workers have reached epidemic proportions. In 2013, OSHA cited the rate of nonfatal occupational injuries and illness for hospitals as almost double that of any other U.S. industry. A safe patient handling report by Peter Hart & Associates found that 48% of nurses complain of chronic back pain and more than 1/3 of nurses’ back injuries are due to patient handling. Perhaps even more alarming, according to the research in the book “Back Injury Among Healthcare Workers,” manually assisting a patient onto an exam table or other elevated treatment or procedure surface carries a 75% risk of injury. With the average back injury for caregivers resulting in five lost working days – and the number of mobility-challenged elderly and bariatric patients continuing to climb – addressing this issue has become a core initiative for health care enterprises across the country. 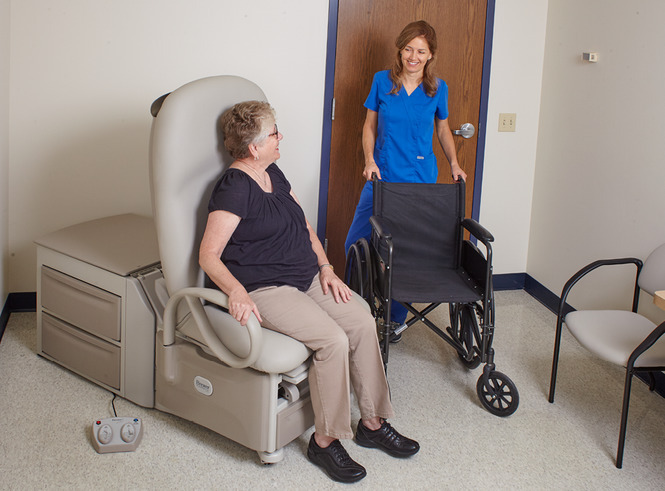 Mobility protocols that emphasize the need for safe patient-handling for caregivers are becoming the new norm. There is a concerted effort to better understand ergonomics in healthcare workers and ongoing development of OSHA guidelines. 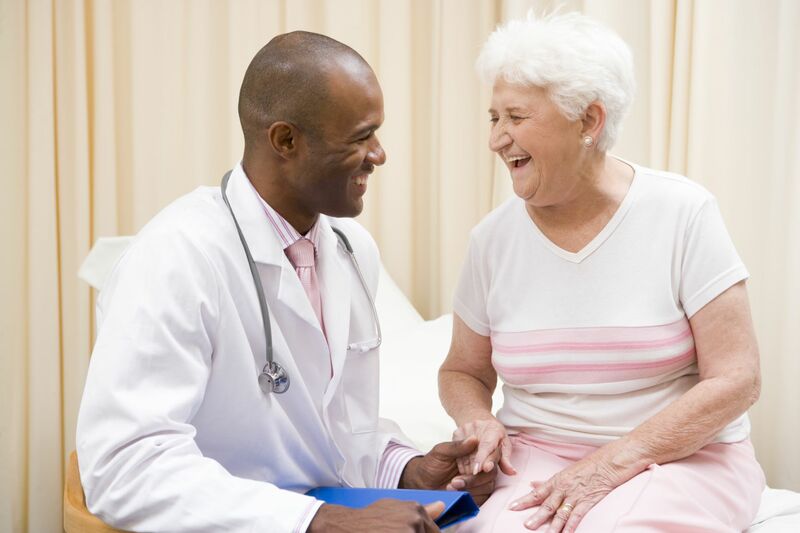 Hospitals are striving to enhance caregiver/patient protocols. All facets of the care experience are being examined – from moving and handling patients safely, to lifting patients properly, and offering more effective, less physically demanding techniques for patient positioning. 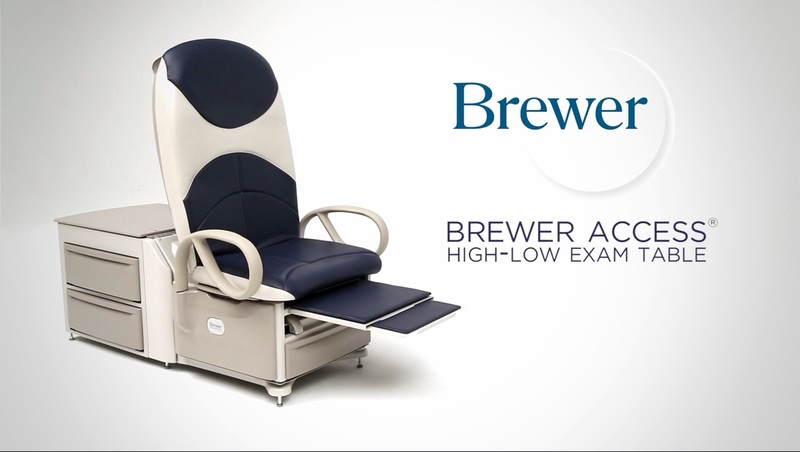 We at Brewer are trying to help address these safe-patient-handling challenges through innovative ergonomic clinical care advancements designed to safeguard patients and staff. 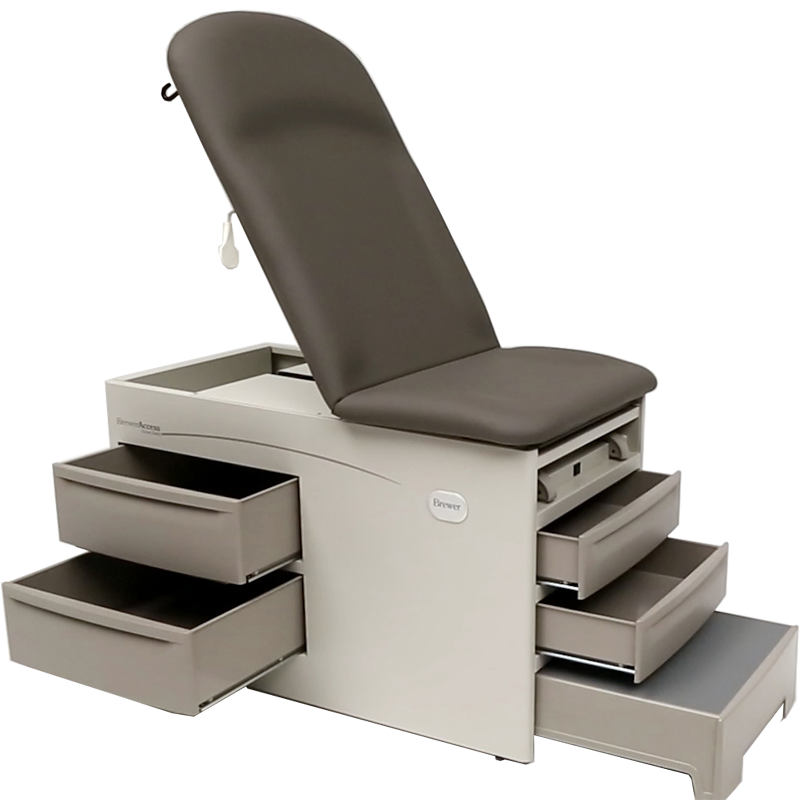 Two of our exam tables – the Access® High-Low Exam Table and the FLEX™ Access® High-Low Exam Table – incorporate exclusive power table design features that work in unison to set new standards for safe patient handling across patient populations. 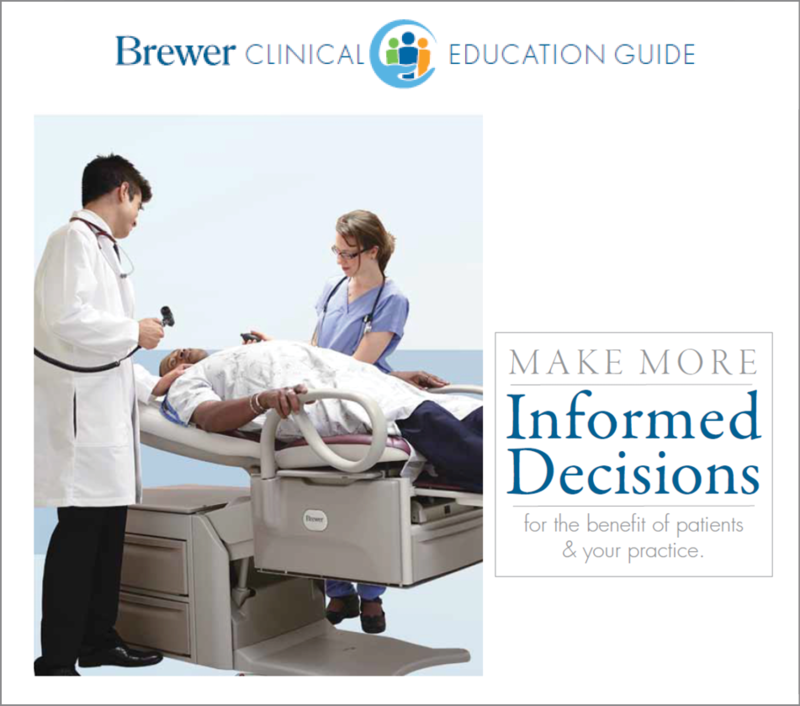 For a more detailed look at how patient mobility challenges are impacting caregivers, check out Brewer’s Safe Patient Handling Clinical Education Guide.